The president's eldest son made a surprise intervention in the Brexit debate. Donald Trump Jr. has weighed into the political battle over the United Kingdom's looming departure from the European Union, writing that Prime Minister Theresa May "should have followed my father's advice." In an op-ed piece published Wednesday in the U.K.'s Daily Telegraph newspaper, the president's eldest son warned that "democracy in the U.K. is all but dead," and criticized "elites" whom he argued were trying to frustrate the will of British voters. "In a way, you could say that Brexit and my father's election are one and the same -- the people of both the U.K. and the U.S. voted to uproot the establishment for the sake of individual freedom and independence, only to see the establishment try to silence their voices and overturn their mandates," Trump Jr. wrote. Trump Jr. also rebuked May, saying her failure to heed his father's counsel resulted in "a process that should have taken only a few short months [becoming] a years-long stalemate, leaving the British people in limbo." 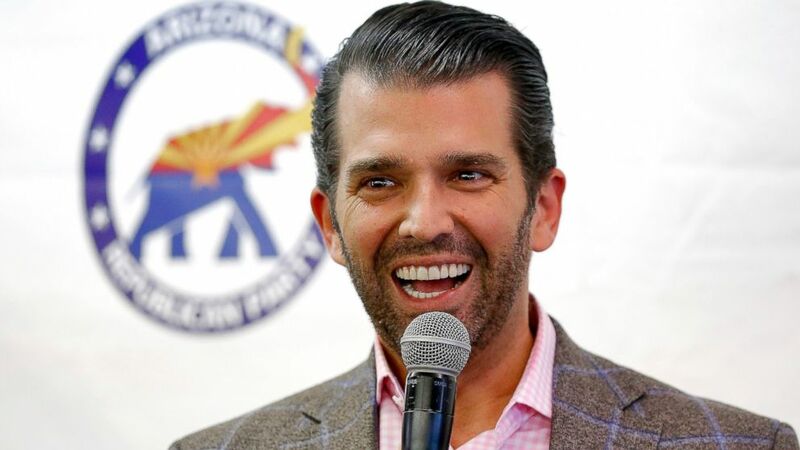 (AP) Donald Trump Jr. speaks at a campaign rally for U.S. Senate candidate Martha McSally, Thursday, Nov. 1, 2018, in Sun City, Ariz.
President Donald Trump has made comments supporting Brexit since before the 2016 referendum and has since criticized May's negotiating tactics. "I'm surprised at how badly it's all gone from the standpoint of a negotiation," Trump told reporters at the White House on March 14. "But I gave the prime minister my ideas on how to negotiate it. And I think you would've been successful. She didn't listen to that." Trump Jr. was a member of his father's 2016 campaign staff, but he holds no position in the administration. However, a public rebuke of a key ally from a member of a president's family is uncommon. 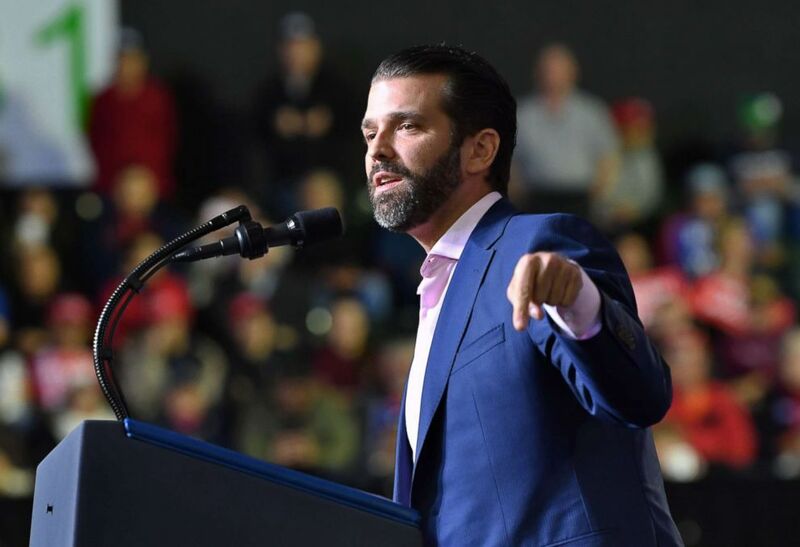 (Nicholas Kamm/AFP/Getty Images) Donald Trump Jr. speaks during a rally before President Donald Trump addresses the audience in El Paso, Texas, Feb. 11, 2019. Britain is scheduled to leave the EU on March 29, but after two years of negotiations, the draft deal to govern the divorce process has twice been rejected by Parliament, causing a political crisis and economic uncertainty in the country. The prime minister's office said on Wednesday she would ask EU leaders for a "short extension" to delay the U.K.'s departure from the bloc.